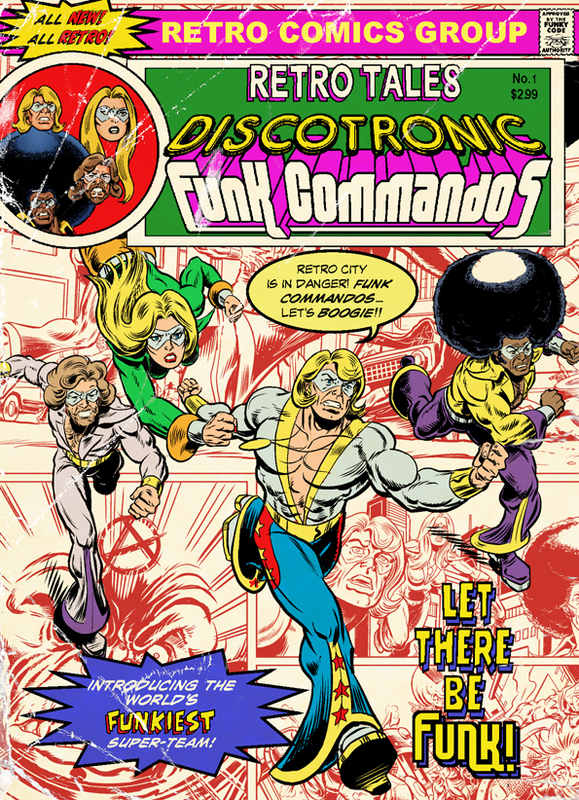 This is a cover mock-up for what will hopefully be the first issue of RETRO TALES, featuring the Discotronic Funk Commandos! This is something that's in the pipeline... and there are some exciting things planned, including a VERY special guest-star for issue 4 (hint: he's an actual 70/80's rock legend!). To keep up-to-date on all things Retro Tales... follow @RetroComicTales on Twitter, and Retro Tales on Facebook! The Discotronic Funk Commandos, Retro Tales and all related characters and artwork are ™ and © 2013 Simon Williams.